Below is a message from Basil Nolan, President of Thoroughbred Breeders Australia (TBA), concerning the attempt by Racing Australia to bring all breeders under the Rules of Racing. At the conclusion of the message, there is also a survey for all breeders to complete. The issue of breeders coming under the Rules of Racing was the subject of considerable discussion at our board meeting last week. 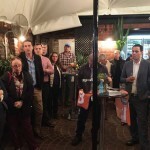 During that meeting the directors of TBA voted unanimously to oppose the new Rules of Racing being forced on breeders by Racing Australia, as well as the new rule for the Australian Stud Book that would require all breeders to agree to come under the Rules of Racing when lodging a mare return. It was clear at our meeting that breeders across the country have been relaying their opposition to these rules to their state breeding bodies. TBA has also been overwhelmed by the opposition these rules have caused among our members. While we will support measures which enhance animal welfare and improve transparency and traceability of ownership in thoroughbreds, what is being proposed at present would see bodies established to run racing having total control over the breeding industry. Without meaningful representation we believe this is potentially very damaging for our industry. We are in consultation with our lawyers and we will consider all options available to challenge these new rules. In the meantime we would strongly suggest that breeders consider deferring lodgment of their mare returns until after we receive our legal advice. At TBA we are committed to keeping you informed of all developments on this issue and will contact you when we have something further to report. We are also very keen to hear your thoughts on the new rules; I would encourage you to participate in a survey we have commissioned on this subject. At the end of the survey (which should take just a few minutes to complete) there is an opportunity to provide feedback and express your opinion. The results are very valuable to TBA. 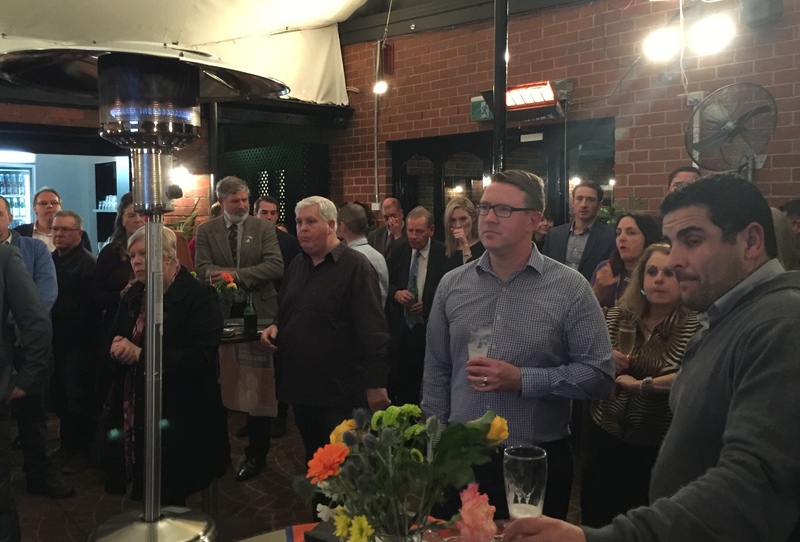 About 65 breeding industry types, friends and racing industry stakeholders came along to TBV’s Melbourne Networking Night at the Emerald Hotel in South Melbourne last Tuesday. 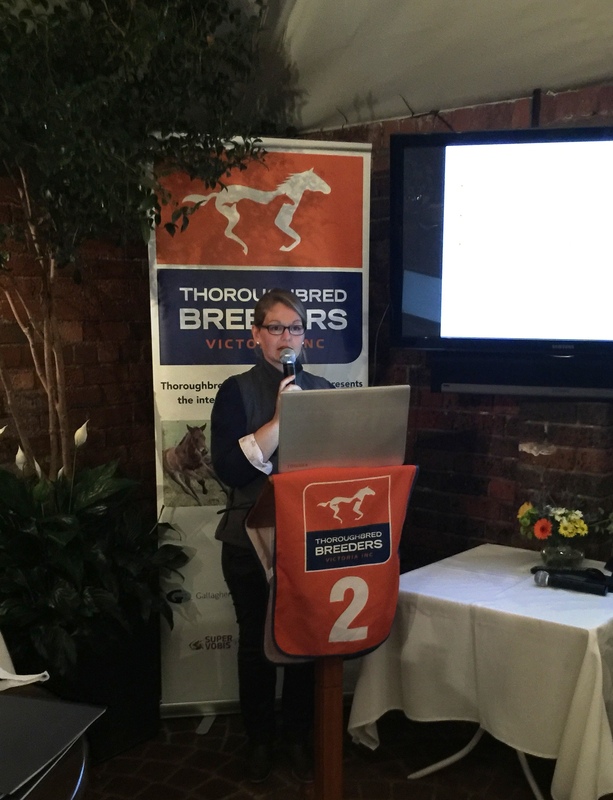 The event was kindly sponsored by Plusvital/Equinome with Amandine Lefevre providing a presentation on the benefits of gene testing. 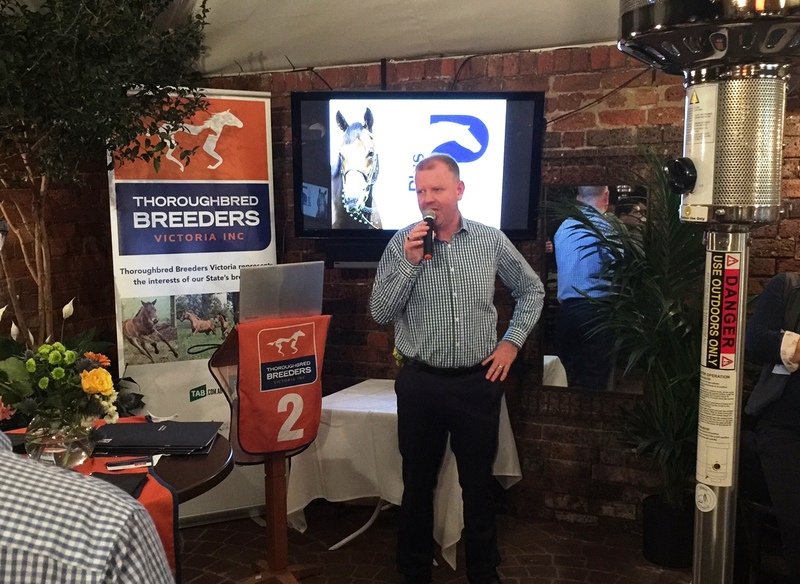 Guests also heard from TBV President James O’Brien about the latest status of the Rules of Racing being applied to the breeding industry. 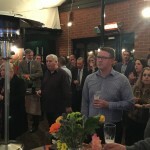 Many thanks to all of those who attended. 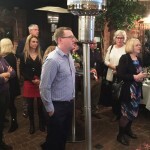 We look forward to tonight’s (July 26th) North East Networking event at Nagambie. Mike Becker wasn’t going to stand a stallion so soon after launching Stockwell Thoroughbreds, but he couldn’t let the chance slip when offered Fastnet Rock’s Group 2 winner Rock Sturdy. Perhaps it was the fact Stockwell was previously the home of legendary sire Century or maybe it was just the Mike Becker desire to strive for more stallion success that Stockwell is now a stallion farm once again. 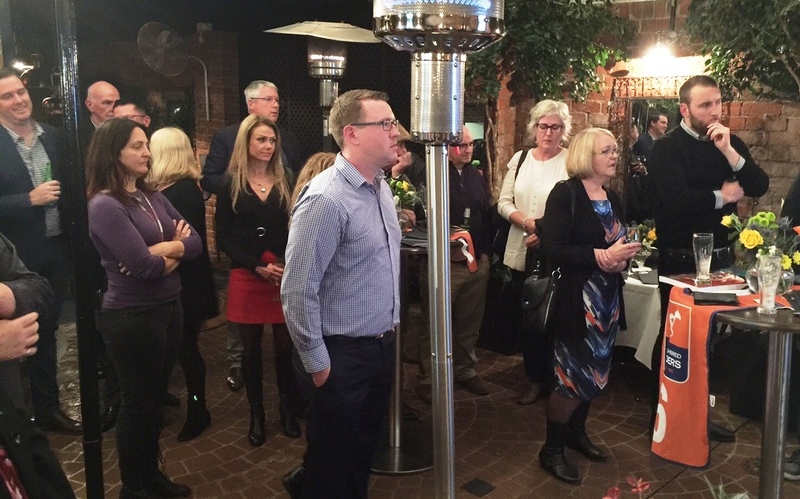 “I guess old habits are hard to break,” Becker, a life member of Thoroughbred Breeders Victoria and former President, conceded. Rock Sturdy (5h Fastnet Rock – Tzu Hsi by Quest For Fame) was trained by Joe Pride and in his first prep won a Canterbury maiden on the way to a Group 3 placing in the Carbine Club Stakes during the 2014 Championships at Randwick. 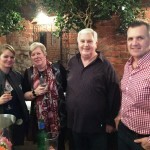 He came of age the following spring in a meteoric rise up the ranks in Sydney. Pride was bang on the money. Rock Sturdy doubled up on a Heavy 8 at Randwick (1400m) and then ran Group 1 winner Manawanui to a head in the Group 3 Bill Ritchie Hcp (1400m). That was the prelude to a career-best victory a week later in the Group 2 Shannon Stakes (1500m). Rock Sturdy had got under the handicapper’s guard with just 52kg for the Group 1 Epsom Hcp (1600m) and was pre-post favourite to join Gooree star Desert War in the Big Mile. “But the Epsom was the last thing on our minds when we realised he had pulled up with a suspensory,” Pride recalled. 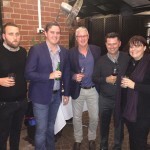 “Not many horses return from that sort of injury, but he came back and finished third to Turn Me Loose in the Group 1 Emirates Stakes at Flemington last year. Stockwell Thoroughbreds will stand Rock Sturdy as its foundation stallion at Diggers Rest for a $7,700 (inc gst) service fee. His dam Tzu Hsi defeated Cheeky Choice in a Randwick nursery and the runner-up went on to win a Group 1 Flight Stakes. “There’s no shortage of Fastnet Rock stallions out there,” Becker said. “But Rock Sturdy was top-class and his family goes back to Cozzene who won a Breeders’ Cup Mile and was Champion USA Sire at Gainesway Farm in Kentucky. “I’m looking forward to doing business with Gooree again. They are serious horse people and were strong supporters of Artie Schiller while he was based with me in Victoria. For more information & enquiries, broodmare owners should contact Mike Becker (0412 538 155) or Brodie Becker (0437 788 434). Akavoroun, a horse which gives his Group 1 winning trainer Ciaron Maher that extra thrill when he wins, scored in the Listed Tattersalls Mile (1600m) on Saturday. 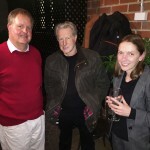 The reason is a that Maher and his parents, John and Eileen, bred the now seven year old son of Lacryma Cristi themselves out of their farm at Winslow north of Warrnambool. Dr Ian McLeod, renowned local vet in the Western District said the foaling down of Akavoroun was very touch-and-go. “I remember he was a big foal out a fat mare (Salquetta). Actually, he is lucky to be alive,” McLeod said. While the Mahers bred the horse, they on sold a large number of shares (though kept 25%) to friends and stable clients including another local breeder and prominent businessman Col McKenna and his wife Janice. 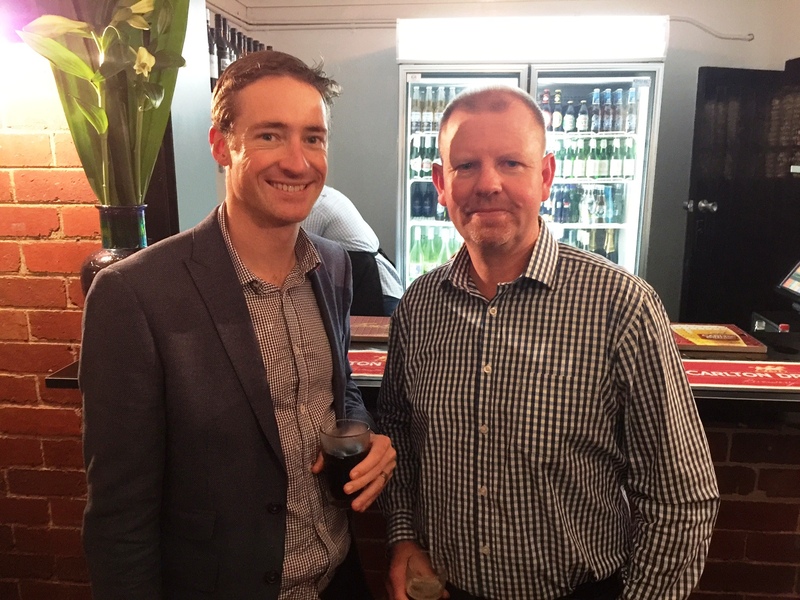 With Ciaron on holidays in New Zealand last week it was left to his deputy Ben Connolly to represent the stable (which had two other winners at Flemington, both Victorian bred too). “Anytime Akavoroun does well it gives the boss an extra bit of delight due to the horse being bred by the family,” Connolly said. The Listed Tatts Mile was the gelding’s seventh career win which has also included the last race he won, the Listed VRC Winter Championship Final in 2014. His earnings have almost reached $400,000. The Mahers still breed from Akavoroun’s dam, Salquetta (by Salieri). She is also the dam of Singapore stakes placed Ravages (by Blevic) and local winners Bluescope and Sparkly Winks. Maher currently has an unraced three year old out of Salquetta in his stable named Cinneadh (by Rebel Raider). Salquetta was bred to Darley Victoria’s Street Boss last year. Akavoroun’s sire Lacryma Cristi has long gone to horse heaven, but certainly had an adventurous journey when standing in Victoria. The son of Green Desert first stood under the Victorian Stallions Partnership banner at Euroa’s Rangal Park Stud and then at Wangaratta’s Little Plains Stud. He was then sold in 2004 to stand at Gooram’s Larneuk Stud and not long afterwards shifted to KArina Rowe’s Carinya operation at Stawell. All up, the sire covered more than 750 mares during his thirteen seasons at stud with 559 live foals recorded. He produced three stakes winners including Group 1 Emirates Stakes winner Tears I Cry, now dual stakes winner Akavoroun and two year old Debutante Stakes winner Desert Angel. It was at Stawell that Salquetta was floated up north from Winslow and covered by the stallion in 2008. The outcome of that mating was of course a big, lucky foal named Akavoroun. Rosemont Stud owner Anthony Mithen was singing the praises of his stallions in the wind and rain at Geelong on Friday. Despite the inclement weather, Nostradamus and Toorak Toff handled the conditions without a hitch while parading between races in the enclosure. Starcraft didn’t make the short trip from Gnarwarre with the stud’s young guns. The rising 16 year-old was (very sensibly!) rugged up in his box at Rosemont. “Nostradamus is just off the track – his last start was in the Group 1 Goodwood – and he’s pumped up coming back to the races,” Mithen said. “He mixed it with the best at the highest level and there’s been plenty of interest from breeders. “He’s the second best son of Medaglia D’oro at stud in Australia after Vancouver. That’s no mean feat because the other colt won a Golden Slipper. He trained on to win the Group 3 Gold Coast Guineas and added another Group 3 in the Irwin Stakes at Morphettville before bowing out with an unlucky midfield finish in the Goodwood. Rosemont has priced Nostradamus at an introductory fee of $8,800 (inc gst). “He’s a half-brother to Star Witness and deserves to stand for plenty more,” Mithen explained. Toorak Toff is finishing this term with a flourish and expectations are high when his first crop resumes in the new season. He did win the Adelaide Magic Millions 2YO Classic but came of age as a 3yo winning the Group 1 Golden Rose before training on to claim the Group 1 Sir Rupert Clarke Stakes. “He’s sired 4 winners to date and there are several of them getting ready for some nice races in the spring,” Mithen continued. “We race Wangaala with Danny O’Brien and she went very well first-up in the Listed Redoute’s Choice Stakes at Caulfield. Rock’n’rollrock is another promising Toorak Toff youngster racing in Rosemont’s “Gatecrasher” silks. He won at Geelong and then had excuses on Saturday when Dean Yendall lost his off-side iron at Flemington before finishing fifth. “He’s covered over 100 mares in each of his three books,” Mithen said. Swettenham Stud sire Americain (USA) is off to a perfect start at stud with his first runner Folk Magic winning on debut at Woodbine. The Kentucky bred filly won her maiden by more than three lengths for managing owner Mark Polivka and trainer Mark Lynch on Saturday. She firmed from 6-1 into 7-2 before carving out the 1200m on turf in a slick 1.09.49s. Settled right behind the leaders until the home turn, the Canadian-based filly sprinted clear in the straight despite racing greenly for jockey David Moran. Folk Magic (2f Americain – African Charm by Johannesburg) holds Breeders’ Cup engagements for Keeneland later this year and she is from an unraced half-sister to German Group 3 winner Chan Chan (Spinning World) and the dam of Lily Rules (Aussie Rules) who was runner-up in the G3 Musidora Stakes at York in 2014. 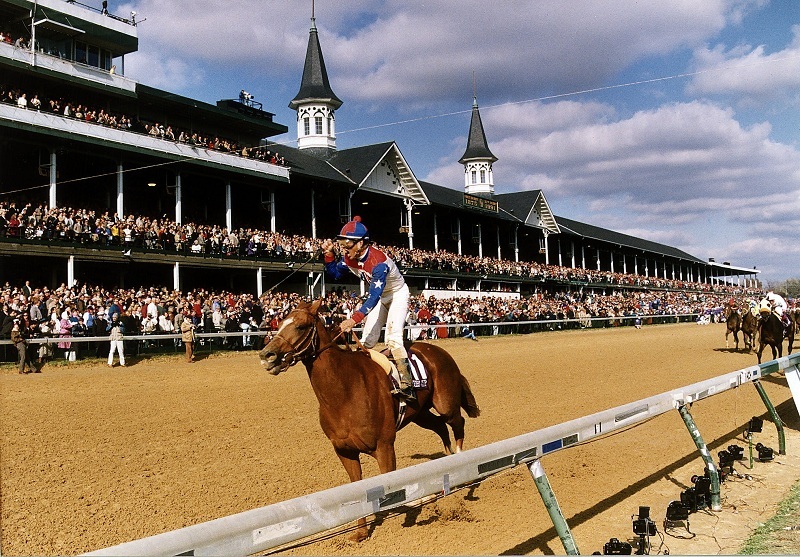 Winning owner Mark Polivka was a shareholder in Kentucky Derby winner Animal Kingdom and he purchased the Americain filly after she was passed in by breeder Richard Forbush at the 2015 Keeneland September yearling sale. Americain (Dynaformer) reached a career-peak winning the Group 1 Melbourne Cup (3200m), but his quick start at stud didn’t surprise Swettenham owner Adam Sangster. 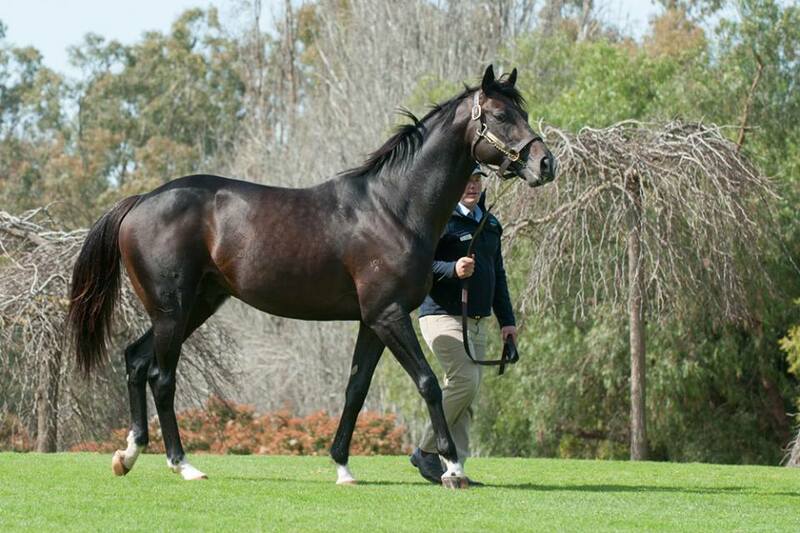 Americain has served 377 mares in his first three seasons at stud in Victoria with no less than 222 live foals on the ground from his first two crops. Twenty five of his southern hemisphere yearlings sold at the Inglis Premier Yearling Sale earlier this year to a top of $130,000. Swettenham stands Americain for a $13,750 (inc gst) service fee. Ridgeview Park’s stallion recruit Onemorenomore averaged a winner a day last week culminating with a double a Hawkesbury on Sunday. The former Vinery stallion started with Our Snazzy Chassis (Narromine) on Monday and followed up with Ledecky (Moree), Stock Broker (Singapore), Morendi (Gold Coast), Onemore Twist (Toowoomba) and Fleeting & Alluvion (Hawkesbury). Fleeting broke through when getting up to 2000 metres for the first time in the A View Turf Maiden Plate (2000m). 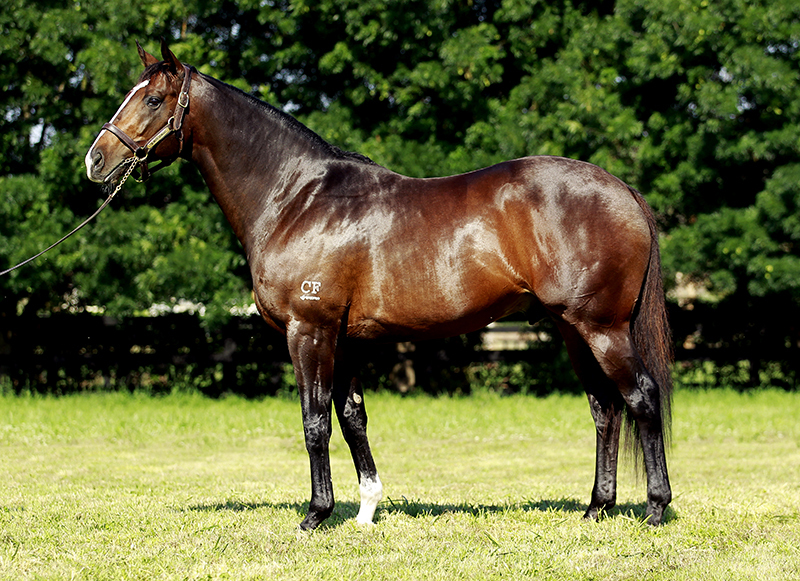 Onemorenomore sired the first-leg of his Hawkesbury double from Canterbury winner Alanis (Mister C.). The family goes all the way back to Star Kingdom filly Domremon who won the 1996 Debutant Stakes for her owner-breeder Stanley Wootton. Alluvion was tremendous value at $7.50 in the Steggles Maiden Hcp (1000m). She had finished close-up behind the placegetters in the LR Gimcrack Stakes and G3 Sweet Embrace Stakes at Randwick earlier this season. Trained locally by Scott Singleton, she missed the kick but recovered to rail up and share the lead before pinching a break in the straight. Alluvion is from USA bred mare Accretion (Cozzene) who earned black-type in the LR Miss Grillo Stakes in New York before joining Patinack Farm’s Australian team in 2008. Onemorenomore (Red Ransom) won the Group 1 Champagne Stakes at Randwick in Patinack’s colours and he joined the Ridgeview Park roster earlier this year for a $5,500 (inc gst) service fee. A minor revolution in Victorian breeding has occurred during the jumps racing season of 2016 and looks set to continue at Bendigo on Sunday. Former Blue Gum Farm sire Elvstroem has sired no less than six winners over the jumps this season. Between them they have won ten races including feature races. 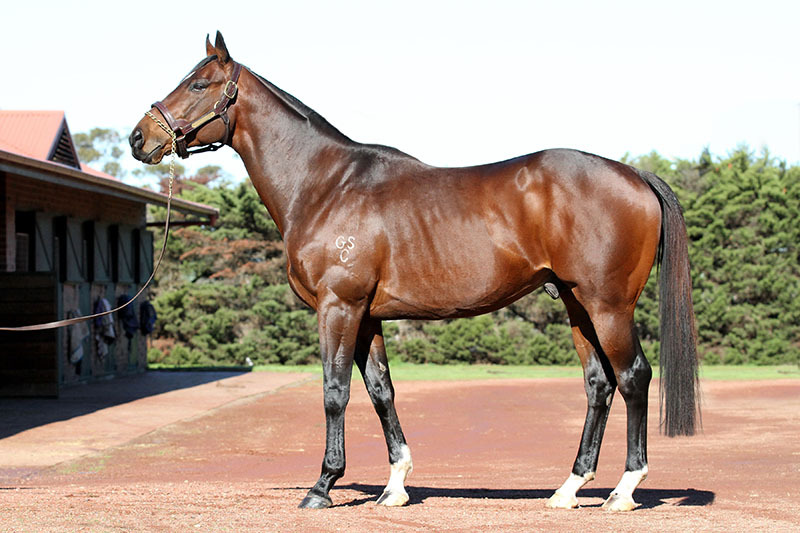 Elvstroem started his stallion career at Blue Gum in 2005 serving large books of up to 222 mares. 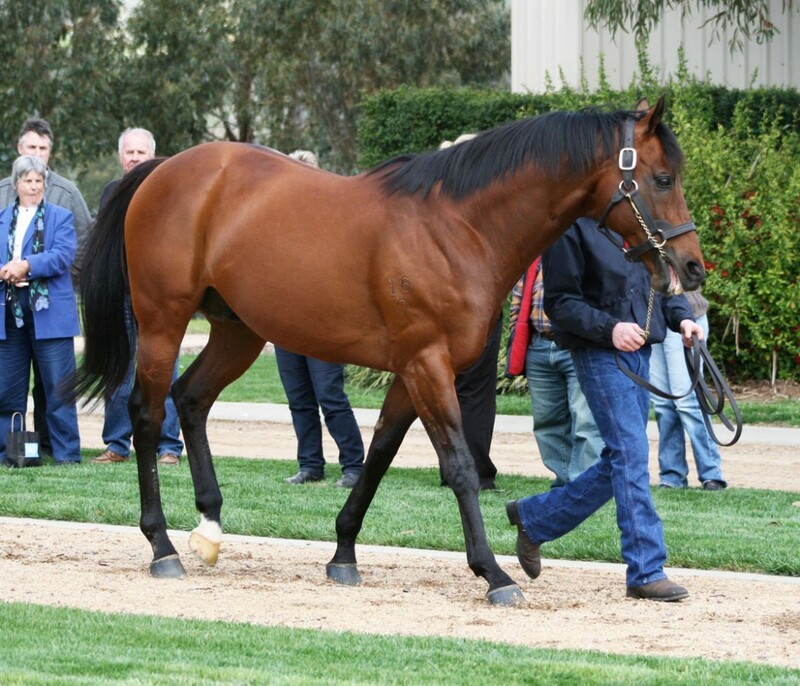 He has sired 12 stakes winners on the flat including Group 1 Emirates Stakes winner Hucklebuck. The 2016 jumps race winners by Elvstroem include Galleywood Hurdle winner Gingerboy, Lafferty Hurdle winner Gold Medals along with Compelled, King of the Forest, King Triton and Marlo Man. In fact, Gingerboy is the top earner among all progeny of Elvstroem this season with $258,000 in prizemoney. This weekend the 5-time Group 1 winning sire has five of his progeny racing at Bendigo’s feature Mosstrooper Day. King Triton lines up in the feature Mosstrooper Steeplechase, Gingerboy and Gold Medals are entered in the Brendan Dreschler Hurdle while Royalstroem is in the maiden hurdle and Compelled in the Benchmark 120 hurdle race. Compelled’s renowned jumps trainer, Eric Musgrove, says the progeny of Elvstroem clearly have one thing in their favour and that is a bit of staying speed. “They’ve got a bit of speed and stamina and seem to jump very well,” Eric said. 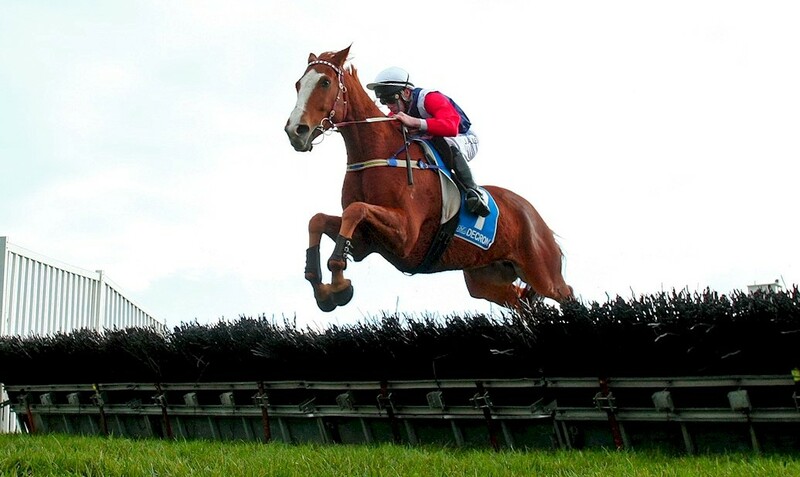 “To win jumps races these days you need to have a quality staying horse that has speed to run the rest off their feet. The bad news for the local jumps racing industry is Elvstroem has left Blue Gum Farm having been sold to stand at Haras du Petit Tellier in France. No doubt French breeders will now be monitoring the stallion’s local jumps success with an eye on their own prolific jumps racing industry. The good news for Victorian jumps racing owners and trainers looking for a son or daughter of Elvstroem is that he has left a total 746 live foals in his ten seasons at stud. And there are still significant crops of yearlings, weanlings and foals to hit the racetrack. A small number of mares are currently in foal to the sire. 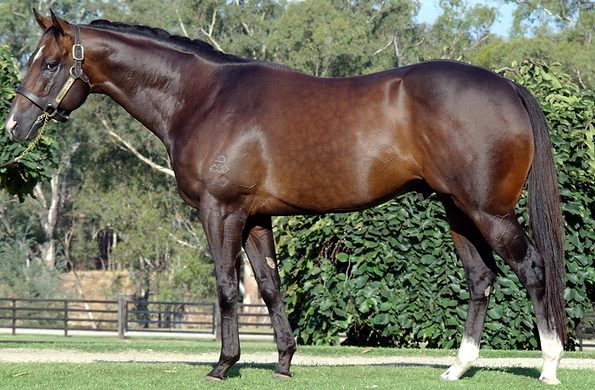 The family of Elvstroem is one of the superior ones in the Australian Stud Book. 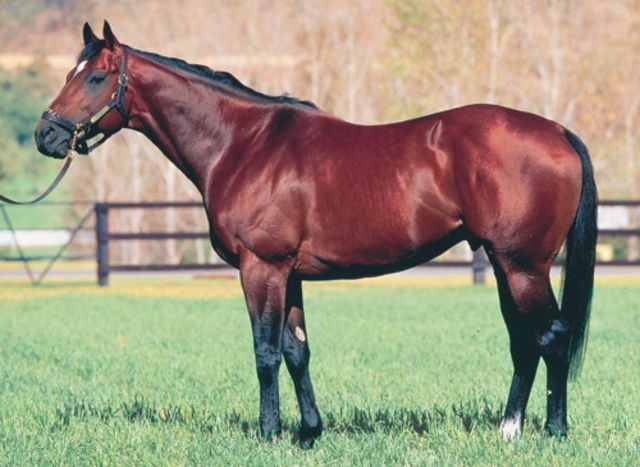 His blue-hen dam Circles of Gold is a Group 1 winner and his sibling Haradasun a multiple Group 1 winner (and also a Group 1 producing sire). The family’s success has extended well beyond our shores. Elvstroem’s sister, Hveger, now based in Ireland, is the dam of Coolmore’s Group 1 winner and Cox Plate placegetter Highland Reel as well as recent Irish and English Derby placegetter Idaho. Postscript to the races: A little suprisingly, no wins for the progeny of Elvstroem at Bendigo on Sunday. Gingerboy was a close third in the feature Brendan Dreschler Hurdle race continuing his strong and consistent form during the season. 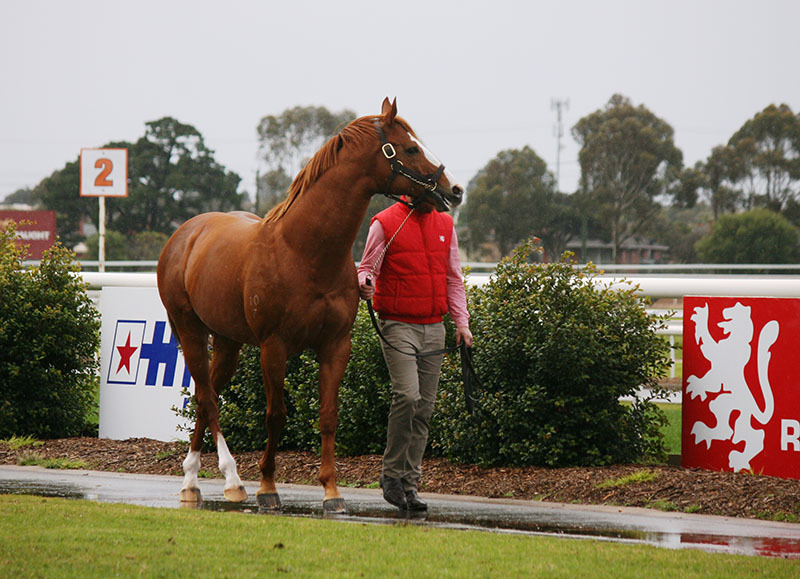 Nominations for the lucrative VOBIS Sires scheme for the 2016 breeding season are now open. Any stallion standing in Victoria this coming season is eligible to be nominated with their progeny then able to race in the $1.5 million VOBIS Sires race series. 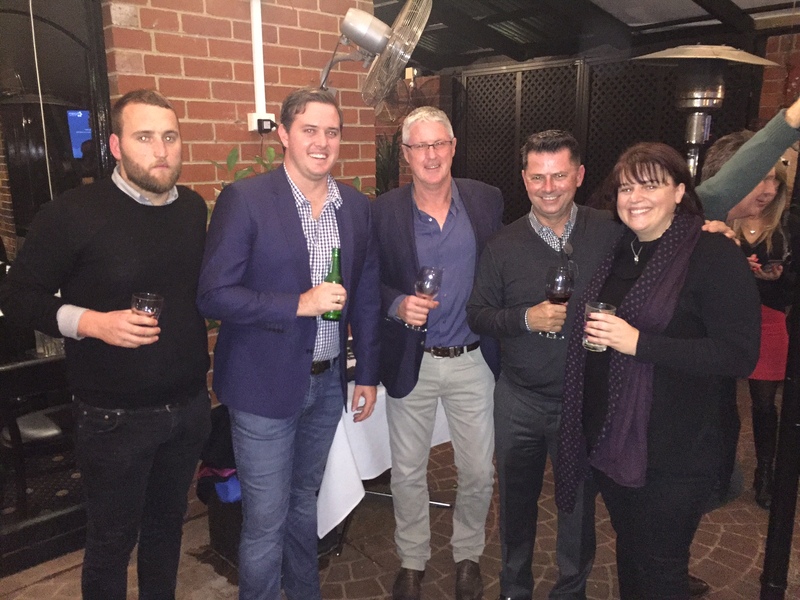 The inaugural season, last year, attracted 54 stallion nominations representing close to 80% of all mare coverings in Victoria during the 2015 breeding season. $500,000 three-year-old race (1600 metres) to be run for the first time in April 2020. VOBIS Sires aims to encourage support of Victorian-based stallions and provide those that do invest in their progeny with the opportunity for very lucrative racetrack returns. The VOBIS Sires prizemoney is on top of the $20 million on offer through Super VOBIS and VOBIS Gold. 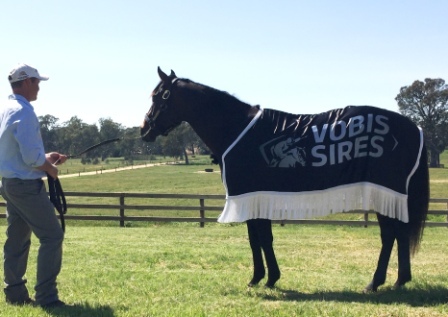 Funding for VOBIS Sires is jointly provided by Racing Victoria and Victoria’s stallion owners who pay an annual entry fee based on the number of mares served and the stallion’s advertised service fee. In recent years we have seen some very talented two year olds by Victorian sires including The Big Dance, Flying Artie, Valliano, Prince of Brooklyn, Fontiton and Dalradian among many others. In the autumn of 2019, Victorian sired horses of this quality will no doubt be targeting the rich $1 million VOBIS Sires 2yo race. And then, the year after, they can aim for the $500,000 3yo race. $300,000 1600m race for Victorian sired three-year-olds to be held in 2018 and 2019. Once stallion owners submit the nomination form they will be accredited by Racing Victoria to use VOBIS Sires logo for stallion marketing purposes. There is no upfront cost for a VOBIS Sires nomination. Upon stallion covering statistics being finalised in early 2017, nominators will be sent a invoice for the VOBIS Sires nomination fee for their stallion/s. On Tuesday last week, Racing Australia released what we are told are the final set of rules for breeders and foal owners. This version of the new rules included amendments from what had been released previously. Below is a message from Thoroughbred Breeders Australia chairman Basil Nolan and a summary of the rules. These new Rules of Racing and Stud Book rules were only released by Racing Australia on Tuesday of this week. The board of TBA is considering them and you can be sure they will be discussed at our board meeting next week. We will consider all possible responses to these rules. In terms of representation on any further rules or changes which would relate to breeders, TBA has been offered one position on Racing Australia’s Integrity and Welfare Committee. This committee currently consists of the head of integrity in Victoria; the chief Steward in NSW; Racing Australia CEO Peter McGauran; Racing NSW CEO Peter V’landys; Racing Victoria’s government relations manager Mark Close; TasRacing board member and former steward Des Gleeson; the chair of Thoroughbred Racing NT John Stewart and Simon Ward, a barrister who is deputy chair of Thoroughbred Racing South Australia. This committee makes recommendations to the board of Racing Australia on proposed rule changes. Its recommendations are non-binding. As well as outlining the rules that relate to breeders, I’d also like to make one or two other points in relation to this issue. 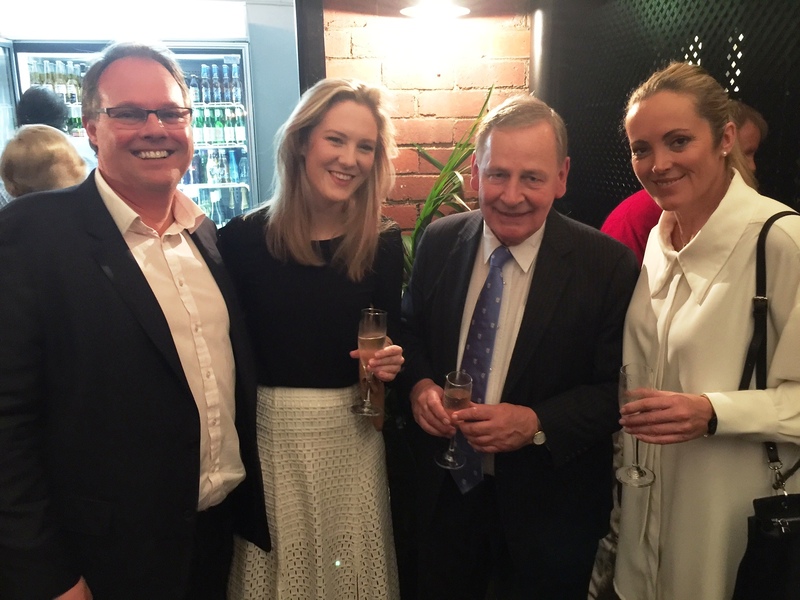 Racing Australia, in recent media releases and commentary from its chairman, John Messara, and board member, David Moodie, has said there needs to be improved regulation in relation to animal welfare and integrity as well as enhanced record keeping. I fully agree with those sentiments as do the board of TBA and, from the discussions I’ve had with many of you, so do the vast majority of breeders. As you may be aware TBA recently put a proposal to Racing Australia which would have seen tighter regulation in respect of animal welfare and integrity. It would have also provided the breeding industry with a formal input into how rules relating to our industry are formed. Unfortunately, this proposal was rejected by Racing Australia. 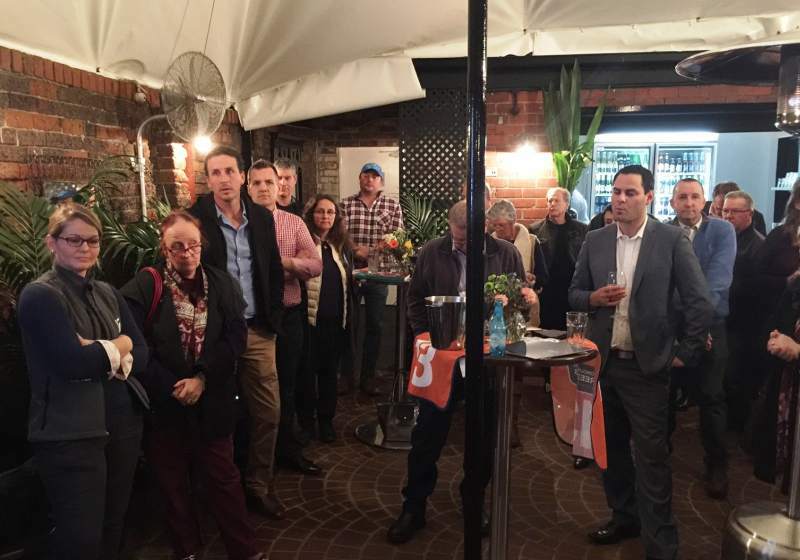 One of the TBA’s major concerns about Racing Australia’s move to regulate breeding is the lack of any meaningful representation being offered, while another is the lack of genuine consultation that has occurred so far. At TBA we are very keen to hear your thoughts on the new rules. I would encourage you to participate in a survey we have commissioned on this subject. At the end of the survey (which should take just a few minutes to complete) there is an opportunity to provide feedback and express your opinion. 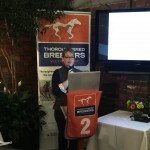 More than 400 breeders have given their views so far and the results are very valuable to TBA. As I mentioned earlier, we will be considering the new rules at our board meeting later this week and I am committed to keeping breeders informed of any updates. On a completely separate matter I’m pleased to inform you that the herpes vaccine Duvaxyn EVH1,4 should now be in supply with veterinary wholesalers across the country. I would like to thank Agriculture Minister Barnaby Joyce and Shadow Agriculture Minister Joel Fitzgibbon and their staff for assisting TBA in making efforts to ensure this vaccine was available to breeders as quickly as possible. Having this vaccine available a year ahead of the initial time frame we were given is something that I know will be of comfort to many of you. For those of you who have not seen them, I provide a summary below and the amended rules are attached, which I would encourage you to read. Mare returns will be lodged as usual. However, for the mare return to be accepted breeders will be required to accept that they will come under the Rules of Racing. Within 30 days of a mare return being sent to the Australian Stud Book a Foal Declaration Form must also be sent to the Registrar of Racehorses at Racing Australia. This Foal Declaration Form needs to be signed by all of those with a “beneficial interest” in a horse (see rule AR.1 attached to understand that term) and will record how much of the foal they own. This form has to be with the Registrar of Racehorses within 30 days of the mare return. Failure to send this form in within 30 days will lead to the foal being barred from being eligible to be registered as a racehorse at a later date. The only exception to this rule is if a veterinarian writes a letter to Racing Australia saying the delay was in the best interests of the horse’s health. Then a 90 day extension may be granted. This Foal Ownership Declaration form – which needs to be sent to Racing Australia in hard copy – also states the location of the foal. Any subsequent change to the location of a foal or yearling (in fact, any horse which is ‘eligible’ to be a racehorse but not yet registered as a racehorse) needs to be communicated to your principal racing authority within seven days of the change in location. The only exceptions to this rule are if the eligible horse is moved for veterinary care, to be prepared or taken to sale, is sent to be ‘educated’ or it leaves the named location with its mare which is being sent to a stallion. All of these exceptions are only good for 90 days and in the case of a mare and foal at foot visiting a stallion until the expiration of the breeding season. Failure to provide changes in location is a breach of the Rules of Racing and may result in a penalty. If any horse eligible to be a racehorse but not yet registered (i.e. all foals and yearlings) dies, Racing Australia requires to be notified within 48 hours. Failure to notify the Racing Australia in this timeframe is a breach of the Rules of Racing and may result in a penalty. If it is decided that an eligible horse will not be registered as a racehorse (i.e. a filly you decide to retain for breeding) you are required to notify Racing Australia within a month of that decision. Failure to do so is a breach of the rules and may result in a penalty. Stewards have the power to take possession of any mobile phone, computer, electronic device, books, documents or records in relation to an inquiry (Australian Racing Rule 8a). Any person who fails or refuses to comply with any order, direction or requirement of the Stewards or any official is in breach of the Rules of Racing and may be punished (AR175, as area all of following rules). Any person guilty of improper or insulting behaviour at any time towards the committee of any club, a steward or any official is in breach of the rules of racing and may be punished. Any person who in the opinion of the stewards is guilty of improper conduct or unseemly behaviour is in breach of the Rules of Racing and may be punished. Any person who in the opinion of stewards is guilty of engaging in the publishing or posting on any social media platform or channel any material that is obscene, offensive, defamatory or abusive to any other person or body (including a racing authority) in the racing industry is in breach of the rules of racing and may be punished. Any person who engages in any conduct which insults another person ‘on any basis’ is in breach of the rules of racing and may be punished. Any person taking part in any matter within these Rules agrees for each horse owned or leased by them or in which they have a beneficial interest to be bound by the Rules of Racing. TBA’s understanding is that this means the owner of any horse registered in the Stud Book is required to agree to be subject to and bound by the Rules of Racing for themselves and all their horses. Every breeder making a return to the Stud Book is required to give access to any horse in the Stud Book when demanded to by the Keeper of the Stud Book or a steward employed by a principal racing authority. 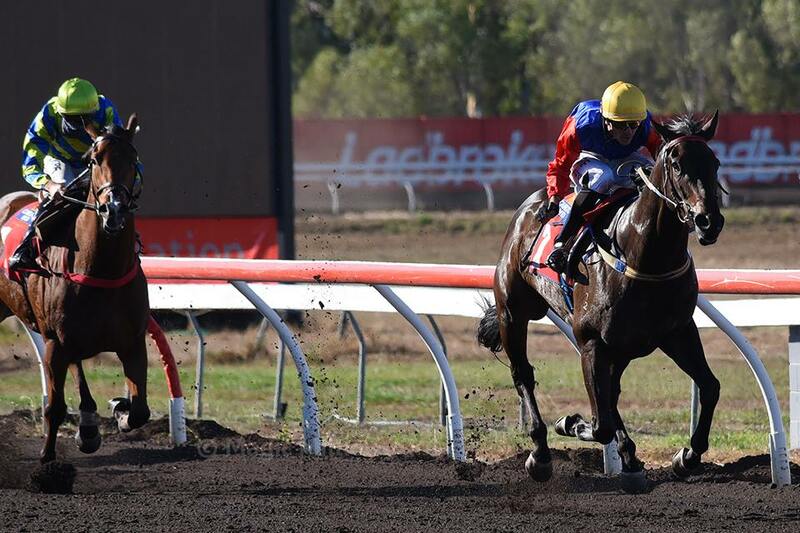 Lauriston Thoroughbred Farm bred three-year-old Finke has continued his outstanding winning streak with a dominant victory in the $135,000 Northern Territory Derby (2000m) at Fannie Bay. The Victorian-bred gelding has won 8 in a row and will earn a $100,000 bonus if he maintains that run in the Darwin Cup (2000m) on August 1. “He’s not a stunning horse to look at but he keeps getting it done,” trainer Gary Clarke said. 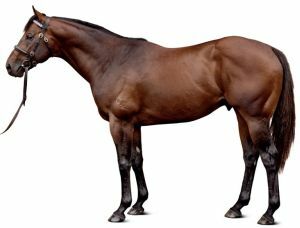 The son of Blue Gum Farm sire Turffontein started a hot favourite after a last-start victory over Abu Dhabi (I Am Invincible) in the Darwin Guineas and they filled out the quinella again on Saturday. Finke first raced in South Australia where he was unplaced in four starts for Kristi Evans. “I sent him down to Kristi to be educated,” Clarke explained. Corinella based Lauriston Thoroughbred Farm sold him for just $5,000 at the 2014 Inglis VOBIS Yearling Sale (he has now earned more than $254,000 for connections). His dam Bloomin Marvellous (Desert Prince) was sold by Lauriston to Rochester’s Manner Lodge Thoroughbreds at the 2013 Inglis August Thoroughbred Sale. She has a yearling colt by Skilled which was sold for $3,000 at the 2015 Inglis Scone Yearling Sale. She was covered by the Darley sire again in 2014. 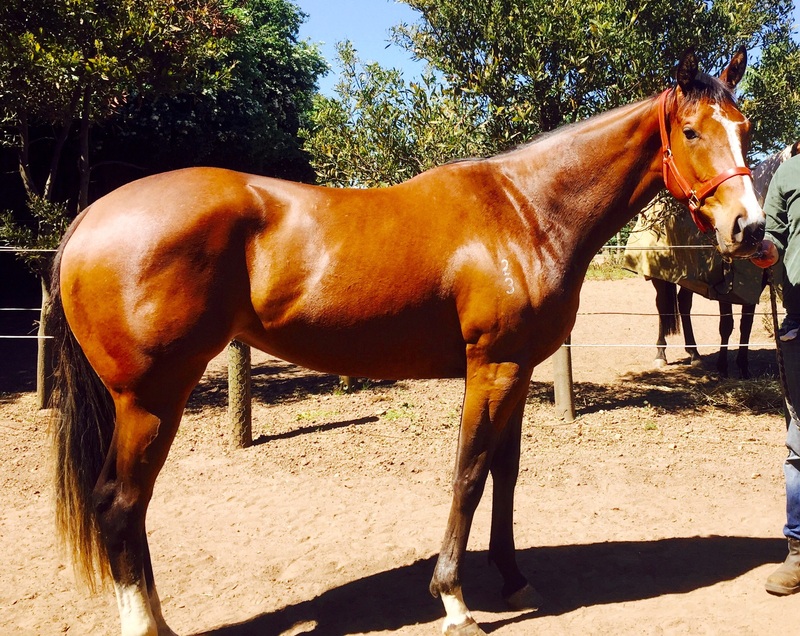 Turffontein stands at Blue Gum Farm for a $11,000 fee. He has sired the winners of 46 races and $1.19 million this season and among them are Give Us a Go and Spearhead who doubled up at Pakenham last week. They have both been nominated for the Sale race meeting this Thursday. Toorak Toff has sired two timely first-crop winners in the lead-up to Rosemont Stud’s stallion parade this Friday. Rock’n’rollrock claimed the first leg at Geelong on Friday and Toorak Affair filled out the running double at Devonport on Saturday. “He’s a raw talent and he’s got a motor,” jockey Dean Yendall said after Rock’n’rollrock won against older horses in the Geelong Print Solutions Maiden (1300m). Rock’n’rollrock (2g Toorak Toff – Rosemont Flyer by Bel Esprit) will head to Flemington for his next start and Yendall believes a big, wide-open track will suit him down to the ground. He’s a Rosemont homebred and is from an unraced half-sister to Melbourne stakes winner Secret Flyer. Toorak Toff has sired 4 winners to date and will stand for an $8,800 (inc gst) fee at Rosemont Stud this year. His Rosemont associate Starcraft has unearthed a very promising sprinter in Perth named You’re A Rum’in. He bolted in at Belmont last week and won’t be long rising up the grades for part-owner Noel Carter and trainer Steve Wolfe. You’re A Rum’in is bred to go over ground. Starcraft won the Group 1 AJC Derby and his dam Slippery Madam (Hussonet) is a half-sister to Group 1 SAJC Derby winner Hard To Get. “He’s only about seventy per cent fit but was always travelling,” jockey Shaun McGruddy said. Rosemont newcomer Nostradamus arrives at the Gnarwarre nursery as an extremely well-credentialed first season stallion and broodmare owners will be blown away when they inspect him this Friday. Nostradamus cost $500,000 as a yearling and is a Medaglia D’Oro half-brother to gun stallion Star Witness. He was a multiple Group winner with explosive speed and is one of the stand-out first season stallions in Victoria this season. 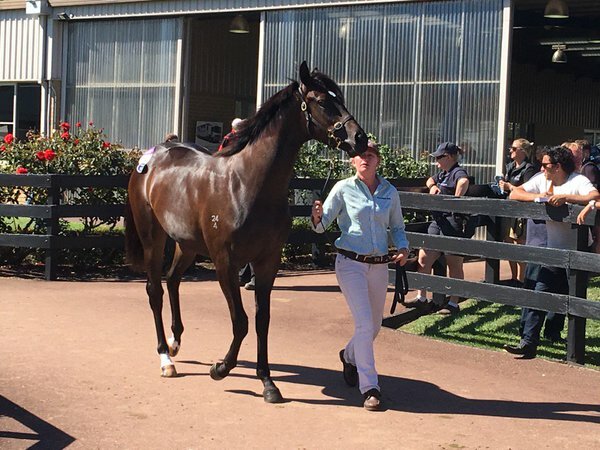 The So You Think filly bought by RIFA from Burnewang North at the 2016 Inglis Premier Sale. Japan’s Select Sale of foals and yearlings at Hokkaido last week attracted several Victorians headed by bloodstock agent Robert Roulston. Acting on behalf of RIFA Mustang roup chairman Wu Jae, he bought two filly foals by Heart’s Cry and Novelist for a combined total of AU$502,935. The RIFA Group is a Chinese based company with a diverse global investment portfolio. This includes an ever growing band of racehorses and broodmares in Australia, particularly in Victoria where they have located their head office. The Australian operations are lead by Daney Xu. At the Japan sale, RIFA bought a Heart’s Cry filly for 19 million yen (AU$237,000) which is the first foal of French stakes performer Ipswich (Danehill Dancer). The dam is a three-quarter sister to Mike Moroney’s last-start Flemington winner Loyalty Man. The Novelist filly they bought for 21 million yen (AU$262,000) also has an Australian connection through her dam To The Happiness (Symboli Kris S). Her half-brother To The World (King Kamehameha) was a Group 2 winner in Japan and was also runner-up in last year’s Group 1 BMW at Rosehill. The RIFA Mustang Group, a member of TBV, has been one of the most active buyers at this year’s broodmare sales around Australia. At the Inglis Australian Broodmare Sale, RIFA bought four broodmares for a total of $490,000, while weeks later at the Magic Millions Broodmare Sale they outlaid a further $1.02 million for four more quality broodmares. Further to those purchases, at the Inglis Melbourne Premier Sale in March Roulston bought RIFA a So You Think filly from Burnewang North Pastoral for $300,000. She will likely be trained by Mick Price. Roulston was also on the lookout for Limerick Lane owner Gerry Ryan at the Japan sale but came up empty-handed in a strong sale. 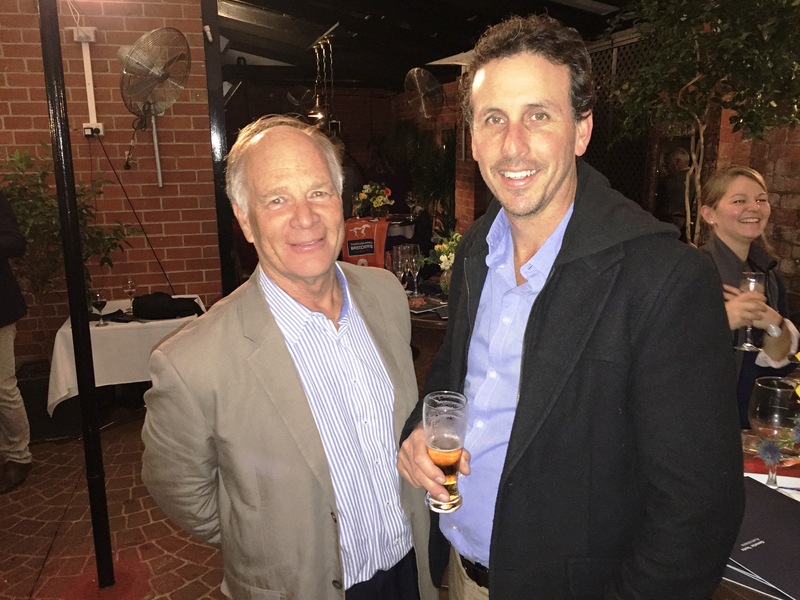 Three Bridges owners Peter and Toby Liston attended the Japan Select Sale for the first time as an initial step in eventually bringing sought-after pedigrees back to their Victorian farm. The Tin Man has thrown down the gauntlet to Europe’s sprint division in the lead-up to Group 1 showdowns at York, Haydock and Ascot. The first-crop son of Equiano (Fr) treated his rivals with contempt while cruising through the field in the Group 3 Hackwood Stakes (1200m) at Newbury on Saturday. Settled at the back by Tom Queally, he cut through the pack on the bridle and only had to be nudged out to beat Divine. “He has to be ridden with confidence. 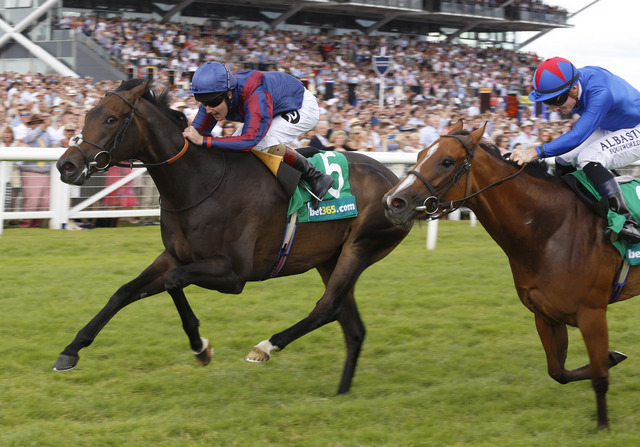 He’s a different gear in that form and won as cosy as I’ve ever won a sprint of that calibre,” Queally said. The Tin Man (4g Equiano – Persario by Bishop Of Cashel) won with more ease than the bare margin of a head suggests. “Tom felt he almost got there too soon,” trainer James Fanshawe explained. “This horse has got enormous talent with a great turn of foot. Last year’s Hackwood was won by Equiano colt Strath Burn and he also holds noms for the Nunthorpe and Haydock Sprint. The Qatar Racing colt will be on trial for those events in the Group 2 King George Stakes at Goodwood on July 29. Another Equiano colt with a Group 1 program ahead is Irish youngster Medicine Jack. A last-start winner of the Group 2 Railway Stakes, the two year old has entries back at the Curragh for the Phoenix Stakes on August 16 and National Stakes on September 11. Equiano shuttles to Swettenham Stud for a $13,750 (inc gst) service fee. 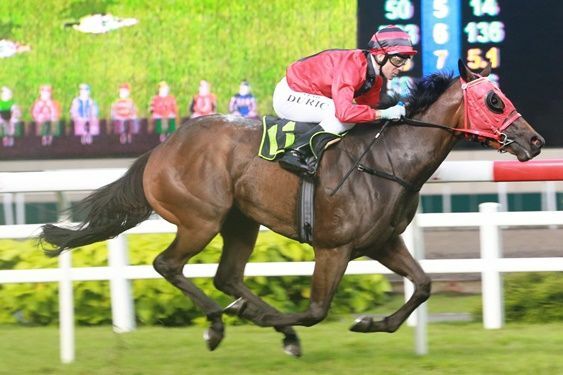 Precocious filly Queen Roulette scored an effortless win for her Victorian based sire Ruwi at Kranji on Friday evening. It was the first leg of a winning double her sire on the weekend. Ruwi (GB) stands at Aintree Park south of Euroa but is something of an unknown quantity in his home State. Not so in South-East Asia where he has sired several winners for leading owner Teng Kian Beng. Queen Roulette (2f Ruwi – Fraar’s Salome by Fraar), who was bred by Aintree Park, finished second to eventual Group 2 Golden Horseshoe winner Lim’s Racer in June and wasn’t far away in two legs of the same series behind Hello Michelle and Jupiter Gold. Teng Kian Beng has also raced Ruwi winners Lady Roulette, Sing Roulette and Above The Horizon in Singapore. “Fillies can be a bit temperamental but this one is quite straightforward,” trainer Lesley Khoo said. “She will get more ground on the way she put the race away tonight. Ruwi doubled up at Perak, Malaysia on Sunday when his 3yo filly D’Great Era scored an on-pace victory in the Star Prince Stakes (1000m). She is trained by Richard Lines for the D’Great Stable and her dam Dance Across (Giant’s Causeway) is a half-sister to LR Sir John Monash Stakes winner Pago Rock. Ruwi (Unfuwain) won his first four starts in France culminating with an effortless Group 2 victory in the Prix Noailles (2100m) at Longchamp. Aintree Park studmaster Mark Arrowsmith stands him for a $5,000 (inc gst) service fee alongside Perth stakes winner Phenomenons (Giant’s Causeway). Over seven seasons, Ruwi has produced 72 live foals with winners being found in Australia, Singapore and Malaysia. Palentino’s little sis ready to race! Bella Francesca, the little half sister to Group 1 star Palentino, is off to the races for the first time this weekend. The two-year-old daughter of Swettenham Stud sire Master of Design is trained in Longford, Tasmania by Bill Ryan and will make her debut at Devonport on Saturday. “I think she is a really nice filly who should go well in the nice fillies races next season as a three-year-old,” Bill said this week. “I actually didn’t have the intention of racing her as a two-year-old. I never thought she would make a two-year-old as most of her family (including Palentino) haven’t. “But she has had two barrier trials, ran second in both and so we have decided to give her a go over 900 metres at Devonport. 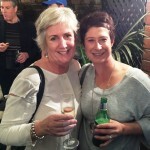 “She has been very immature mentally and been a bit of a barrier rogue and even claustrophobic. “She is a valuable filly in terms of breeding prospects. If she was going to get hurt I didn’t want to be the one responsible! 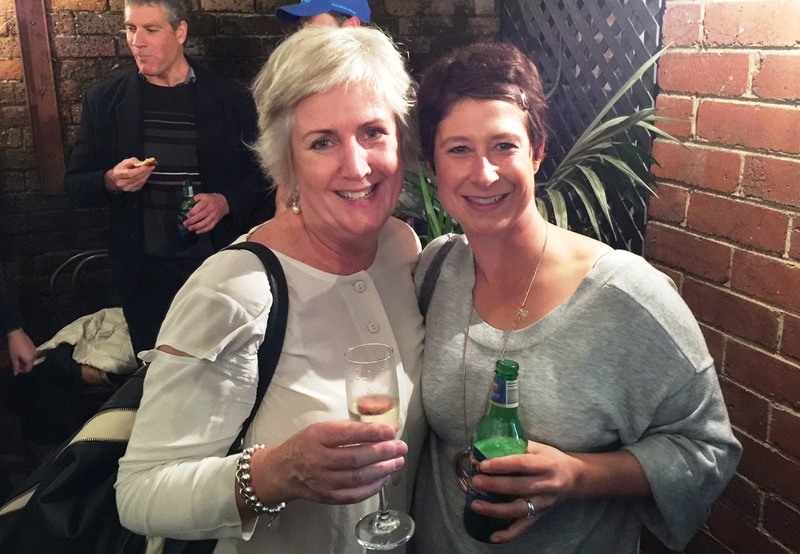 “So I sent her to boot camp with Nigel Schuring and said to him ‘fix the problem’, “Nigel is a trainer in his own right but also a breaker and barrier attendant. “She was at his Whitemore property for a month. Nigel and (jockey) Kyle Maskiell have done a lot of top work on her and vastly improved her manners. She fronted up to a barrier trial at Devonport on Tuesday and was little trouble for the attendants. She pulled up really well and was very chilled out. “She will race on Saturday where I am hoping she takes everything in her stride. After that she will be put out to the paddock and come back in the summer for the three-year-old fillies races. Her sire, Master of Design, is preparing for the upcoming breeding season (starting on September 1st). With just a handful of runners, the first season sire has had plenty of promising juveniles including the stakes placed Creativity and Kinetic Design. The sire himself didn’t race as a two-year-old so it is likely we will start to see the best work of his progeny as we move into the next racing season. Meanwhile the Darren Weir trained Palentino is at the beginning of his Spring Carnival preparations where a key target will be a Group 1 mile at Caulfield. A major share of the Australian Guineas winner was purchased by Victoria’s Sun Stud earlier this year and he is expected to retire to stud in 2017. When Emirates Park decamped from Diggers Rest recently there were two retired stallions among the fixtures and fittings that weren’t going anywhere. Renamed Stockwell Thoroughbreds, the historic property has been home to Arazi and Brief Truce since they were pensioned and happily will remain so. 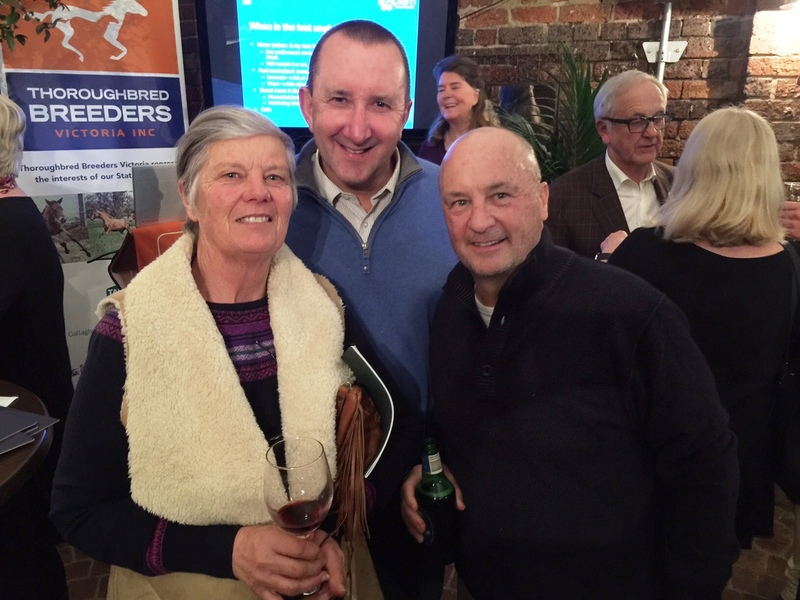 Co-principal of Stockwell Thoroughbreds, Mike Becker (a former President of Thoroughbred Breeders Victoria and now Life Member), will ensure his old mates see out their lives together at the farm 30 kilometres north-west of Melbourne. Both horses are rising 28 and both are fit and well although that’s where the similarity ends. 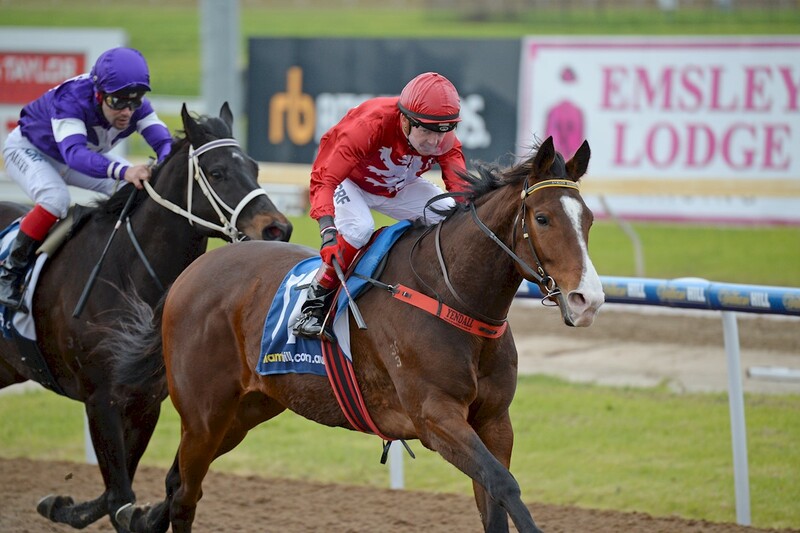 “Arazi is happy enough pottering about his paddock,” Becker said. Arazi (USA) began his career with an unbeaten juvenile campaign in 1991 winning the G1 Prix de la Salamandre, G1 Prix de la Salamandre and G1 Grand Criterium before shipping to Churchill Downs to claim the 1991 Breeders’ Cup Juvenile by five lengths for owners Allen Paulson and Sheikh Mohammed. The Blushing Groom colt was crowned European Horse of the Year and won the North American 2YO Eclipse Award. “He still has an amazing following. Every year, when the Breeders’ Cup comes around, I get calls from the American media for interviews,” Becker said. 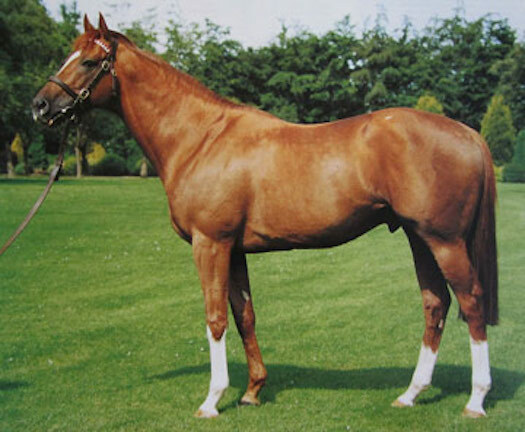 Arazi stood in England, Japan, USA and Europe before making a final move to Victoria in 2003 when Becker operated Independent Stallions Station. The best of his progeny was USA Group 1 champion Congaree and his name will live on as the damsire of Melbourne Cup winner and now Swettenham Stud sire Americain. Brief Truce (USA) was a Group 1 winning galloper in the same era winning the Group 1 St James’s Palace Stakes at Royal Ascot in 1992 against a star-studded field that included odds-on favourite Arazi. Trainer Dermot Weld then sent him across the Atlantic to finish third behind Lure in the G1 Breeders’ Cup Turf Mile at Gulfstream Park. 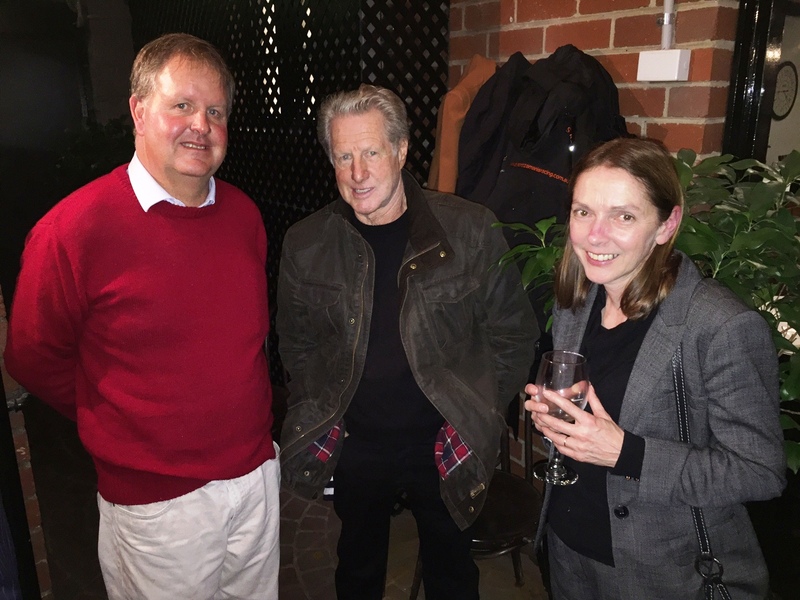 Bob and Jack Ingham shuttled him to Woodlands Stud, however, the first couple of crops took time to fire and he didn’t return to the Hunter Valley. “I found out he was standing in Switzerland and decided to get him back,” Becker recalled. Within months of his arrival, Brief Truce was making headlines with Diatribe (G1 Caulfield Cup) and True Jewels (G1 Blue Diamond Stakes) leading a stakes winning posse that also included So Gorgeous, La Rieuse, Gordo & Play Station. His most recent black-type winner General Truce took the Group 3 VRC Maribyrnong Plate (1000m) as a two-year-old in November 2009. The Lauriston Thoroughbred Farm gelding was back at Flemington to win his 10th race in the Jezabeel Handicap last month. “I retired Brief Truce in 2011 when breeders were ringing up wanting to get in for next to nothing,” Becker said. The two former champions would certainly be offered due respect should they, as expected, ultimately call the farm their final resting place. Among others who have been buried with honours there is Showdown, a former Champion Australian Sire of the 1970s. 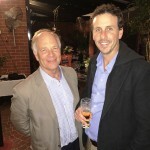 Mike and his son Brodie Becker have a long term lease arrangement on Stockwell Thoroughbreds and they will offer a full suite of services for breeding stock and racehorses from stallion walk-ons, pedigree analysis, foaling down and sales preparation through to racehorse spelling and post-surgery rehabilitation. For more information & enquiries, call Mike Becker (0412 538 155) or Brodie Becker (0437 788 434). Chinse businessman Zhang Yuesheng is leaving no stone unturned developing his Australian bloodstock portfolio from his Yulong Farm at Bayles in Victoria. Zhang’s Yulong Investments sandwiched some notable buys at the Tattersalls July Sale last week between feature wins in Australia and Ireland. 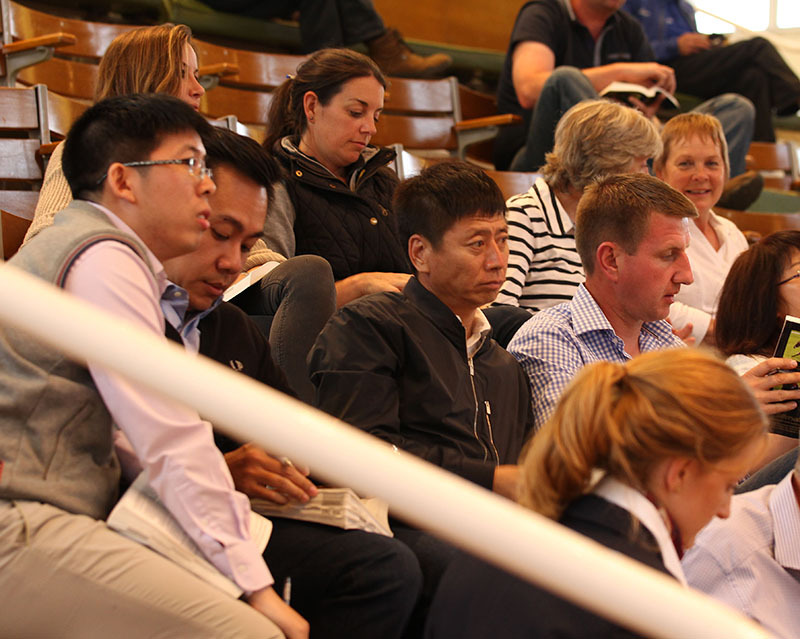 Melbourne based agent Sheamus Mills (an FBAA and also TBV member) purchased 12 fillies and mares for Yulong Investments with a total spend of 840,000gns (AUD 1.51 million) headed by 3yo filly Lake Hamana who cost 210,000gns. Lake Hamana (Shamardal) was consigned by Godolphin and is from Listed winner Lake Toya (Darshaan). It’s the extended family of classic winners Generous (Caerleon) and Imagine (Sadler’s Wells). Another buy out of the Godolphin consignment was Next Meeting (Street Cry) for 90,000gns while Australian expat Causeway Lass (Giant’s Causeway) was sold in foal to Darley shuttler Exceed And Excel. Eleven of the broodmare buys will be covered by UK based super stallions such as Frankel, Golden Horn, Invincible Spirit and Muhaarar at Southern Hemisphere time and then exported to Zhang’s YuLong Farm in Victoria. They will join a select group of Yulong broodmares already based in Victoria including Extremely (the dam of Blue Diamond Stakes winner Extreme Choice) who they paid $735,000 for at the Inglis Australian Broodmare Sale in May and Singspiel mare Zauberflote bought at the Gold Coast Broodmare Sale for $525,000. Yulong principal Mr Zhang owns a series of assets in China including a coalmine, a wind farm and his own racecourse and has purchased two farms at Bayles nearby to Pakenham including Cheval Park the former property of equine chiropractor Michael Bryant. “He wants to establish an all-round business, the idea is to make it as sustainable as possible,” says Mills. “A lot of work has been done on the farm in a fairly short period of time but there’s still plenty more to come. Once he put Scott Williamson, (previously at Edinglassie Stud) in place as farm manager it was full steam ahead. 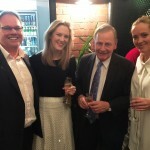 “He’s looking to have 30 or 40 good-quality mares in Australia. He plans on taking drafts of foals and yearlings to the sales in future years, and he wants to stand a stallion too. This coming breeding season some of Yulong’s Bayles based mares will head to the Hunter Valley but a large number will be utilising Victorian sires including Written Tycoon, Street Boss and Helmet. 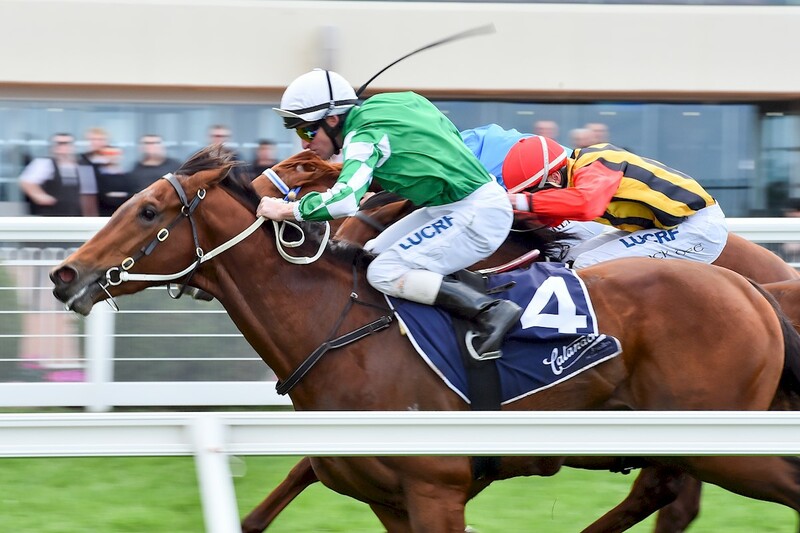 It was also a particularly successful weekend for Yulong on the race track in both hemispheres. Mr Zhang’s tough gelding Killarney Kid (Pendragon), trained by Darren Weir, claimed the VRC Country Cup Tour Trophy at Flemington on Saturday. This followed the win of impressive looking colt Yu Long Sheng Hui (Sebring) at Caulfield on July 2 – and who will now be targeted at the Group 1 Caulfield Guineas. In Ireland, Yulong owned filly Yulong Baobei (Choisir) followed up with a Listed victory in the Tipperary 2YO Stakes (1200m) on Saturday. “She is exciting and I’m delighted for Zhang Yuesheng who has five two year-olds with me,” trainer Michael Halford said after the three-length victory. Below is a further update from Thoroughbred Breeders Australia President Basil Nolan on the critical issue of the Rules of Racing being applied to the breeding industry. I am writing to you in regard to a proposal announced by Racing Australia on Monday 4th July to bring the owners of foals (in the vast majority of cases, breeders) under the rules of racing. We at Thoroughbred Breeders Australia were given a draft set of rules to review on Monday June 27 and asked to respond to Racing Australia within a week. It should be noted these rules differed significantly from previous drafts given to TBA. Among the new regulations was a demand that Principal Racing Authorities (Racing Victoria, Racing NSW etc.) be informed every time an ‘unnamed horse’ (i.e. foal or yearling) was moved from one property to another (for example if going to a veterinary clinic for treatment, being walked out with a mare to visit a stallion farm etc.) and also that Principal Racing Authorities would have to be informed and give their approval before a dead foal or yearling was “disposed of”. TBA wrote back to Racing Australia saying the new rules would vastly increase the bureaucratic burden and the costs of compliance on breeders with little or no benefit. A director from Racing Australia spoke with me on Monday 4th July and suggested significant changes to these rules as a result of the TBA’s response. However, later that afternoon Racing Australia put out a media release on the subject without providing us with their final drafts of the rules. Since Monday 4th July, TBA has repeatedly asked for a copy of the new rules from Racing Australia but they have said they cannot yet provide them. Accordingly, we do not have a copy of the new rules and do not know whether they have been agreed by the Racing Australia board. The board of TBA will discuss the rules when we have them and will share them with you when we receive them. I know many of you have contacted TBA since Monday’s announcement seeking to understand what is going on. Please feel free to contact TBA if you have any further questions. 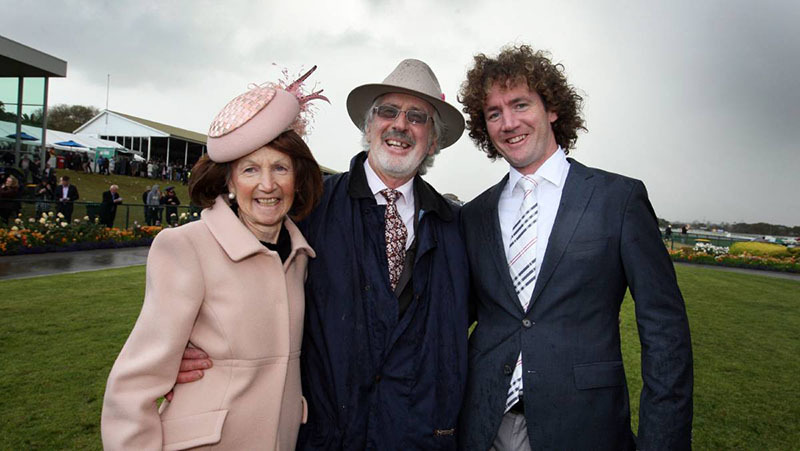 Warrnambool breeder Michael Rea is on a high following a weekend winning double including a win at Flemington by Lady Selkirk. The filly’s win also provided a Flemington double for Riverbank Farm sire Von Costa De Hero with Lord Von Costa also scoring in the Listed Creswick Series Final (1200m). 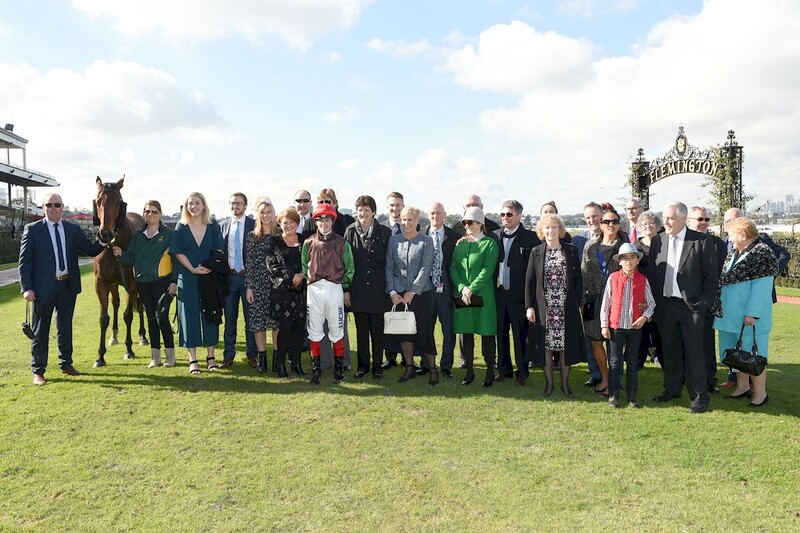 Lady Selkirk was successful in the $120,000 Silver Bowl Series Final (1600m) making it two wins in a row at headquarters for the Matt Williams, Warrnambool trained three-year-old. “We will give her a good break and come back for the summer,” Williams said. 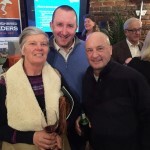 “Then she could have a crack at races like the (G3) Mannerism Stakes in the autumn. She was bred by Rea (in partnership with Greg Levvey) at his Hopkins Falls farm near Warrnambool where he keeps eight broodmares. The filly is a sibling to Turnitaround who has been one of the form horses in Victoria over the past few months. He has now amassed more than $432,000 in earnings while his little half sister has moved close to $200,000 in prizemoney. Another Micheal Rea bred winner on the weekend was the John Salanitri trained three year old Niccorama at Warracknabeal. She was first up in her third preparation and is rated by her trainers. “I work closely with Inglis’ Mark Dodemaide who works out the matings and sales entries for me,” Rea said. 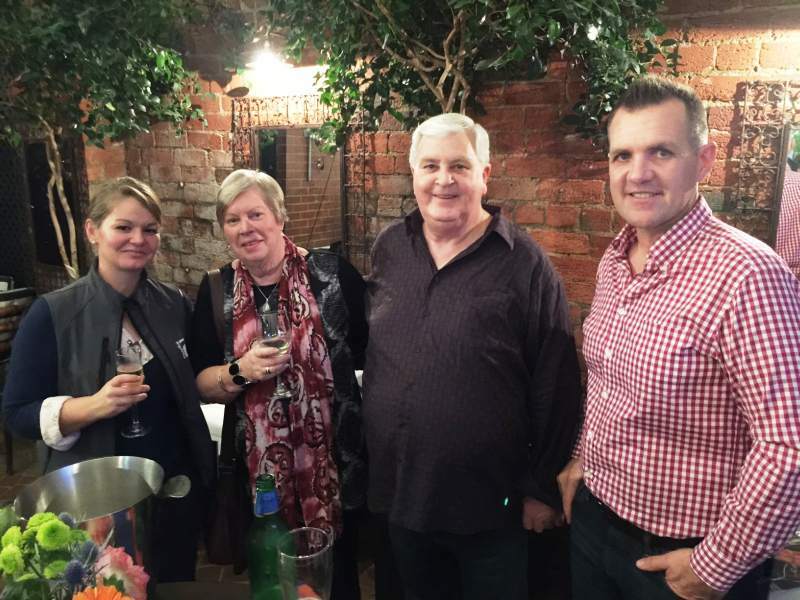 “We’ve had some reasonably good sale results in both Sydney and Melbourne. I tend to keep hold of small shares of most horses (as he has done with Lady Selkirk and Turnitaround). Rea tends to utilise Darley’s sires particularly first and second season sires. This year Brazen Beau is one of the chosen suitors for Rea’s broodmare band. The Von Costa de Hero (Encosta De Lago) double at Flemington was completed by Lord Von Costa who was bred by Rhys Holleran and raised at Rushton Park. Stephen Brown trains Lord Von Costa for Rhys Holleran and co-owners and will aim him towards the spring. “We took him to Darwin and the change of scenery has been the key to his improvement,” Brown said. “The new environment did him a favour. When you move them around, like Darren Weir does, they really do well. Riverbank Farm stands Von Costa De Hero alongside Redente, Hillman and their new addition – the stakes winning Late Charge (by Hard Spun) at Benalla. Von Costa De Hero has had three city winners in the past month with his progeny earnings now exceeding $1 million for the season. 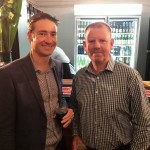 Studmaster Russell Osborne can be contacted on 0423 768 155.